The care taker at Maladevi Temple, Gyaraspur informed us about the places of Badoh-Pathari and Udaypur which were located close by. Driving as per the given directions with a few additional inquiries here and there, we reached Pathari and were now in the central part of Madhya Pradesh. 'Pathari' is a true representation of rural Madhya Pradesh with lush greenery everywhere. 'Badoh' and 'Pathari' are two beautiful villages bifurcated by a lake and are rich in architectural heritage. 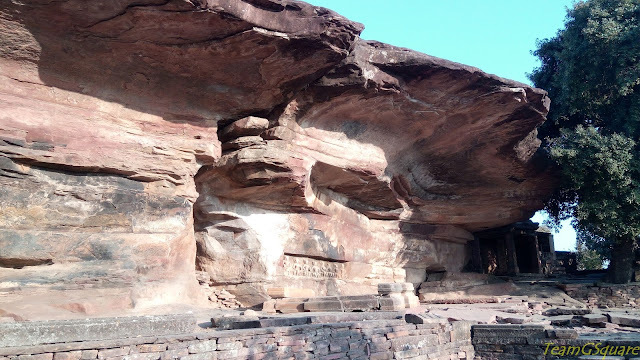 The Guptas ruled here during the 6th century AD followed by the Pratiharas from 8th-10th century AD and then the Rashtrakutas. 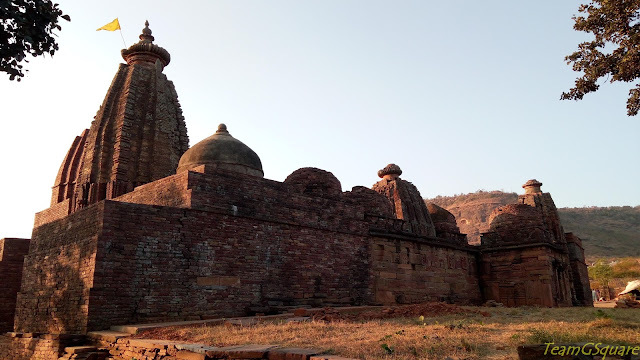 The presence of a fort built during the medieval period and a few small Cenotaphs belonging to the late 19th century suggests that this place was continuously occupied and played a prominent role in the history of central India. We stopped by a sign board put by Madhya Pradesh tourism, following which we were led to a cave temple dedicated to Saptamathrikas. This temple might have been destroyed with only the cave as remains. 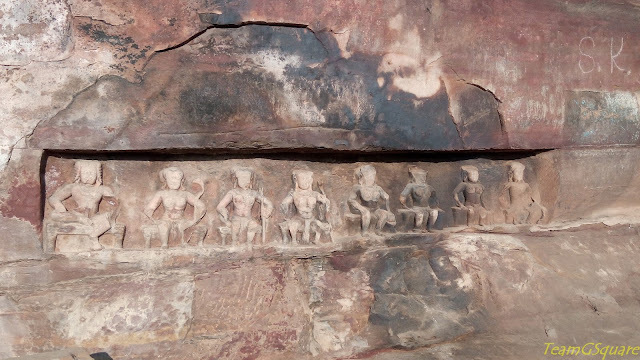 On the wall face of the cave is a beautiful carving of the seven mother goddesses, the Saptamathrikas along with Lord Veerabhadra. This is a 6th century structure associated with later Gupta period. 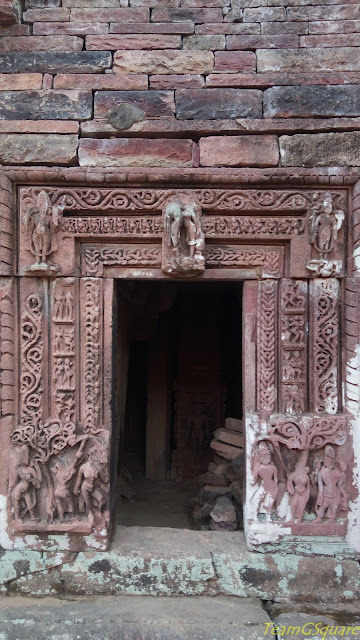 The next place we visited here was a group of Jain temples located in the village of Badoh. Though at the first look we were quite happy to see that restoration work was in full swing, we were equally stunned at the same time due to the shoddy restoration work. The temple walls looked more like unsolved jigsaw puzzles. This group of temples were built between 9th-13th century AD and were hindu in origin, but later converted to Jain temples. 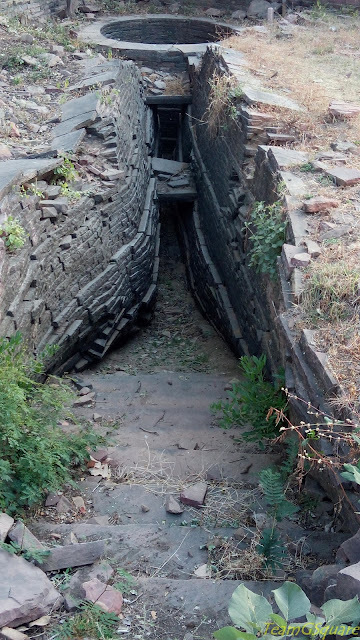 There are many shrines inside the temple complex along with a ruined Baoli or stepped well. Next on our list was Gadarmal Temple, the most beautiful temple around this town. We were mesmerized to see this grand structure coming out of nowhere. This temple has the unique distinction of being an eight shrined temple, wherein temples have been added to a panchayatana (five shrined) temple. 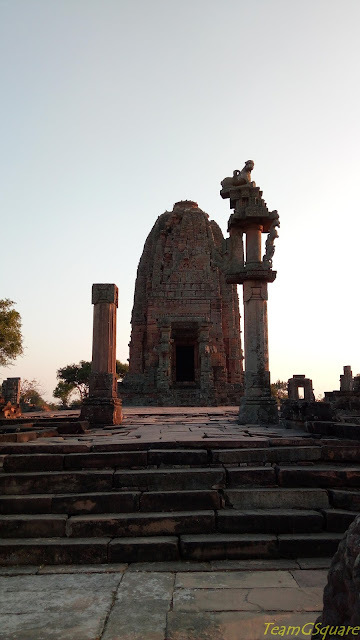 The ruined Torana (gateway) in front of this temple originally would have been a very grand structure which is evident from its remains. There are 8 pillars in front of the temple entrance with elephant capitals. The door jambs are classical pieces of artwork and carved to perfection. The Shikara is grand with various carvings of apsaras and deities on it, though it seems to be a later addition to the temple. 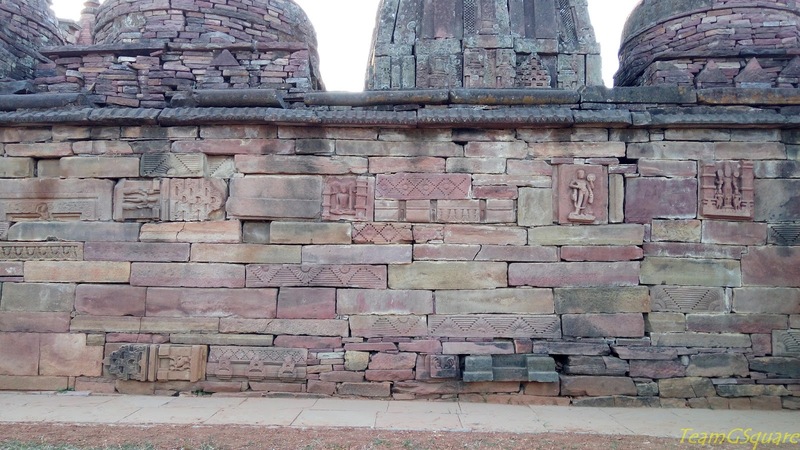 This temple was built in the 9th century and can be assigned to Pratihara kings. Hereon, we went in search of Bheemgaja, driving through the narrow lanes of Badoh village. We came across a beautiful lake on the other bank of which lay remains of a beautiful fort. We were running out of time and as the sun went down, we began contemplating about spending time near the fort as we also had another place to cover. We decided not to explore the fort environs and proceeded towards Bheemgaja. 'Bheemgaja' is a huge pillar with inscriptions erected by the minister of a Rashtrakuta king in the 9th century. There are two sati stones close by the pillar with Sanskrit inscriptions. The other places to visit around are the Varaha temple (houses a huge unfinished sculpture of Lord Varaha), Shiva temple, Koteshwar temple and Solah Khamba. We missed visiting these to due to paucity of time. Distance from nearby major town: 75 km from Vidisha via Gyaraspur and about 30 km from Ganj Basoda. 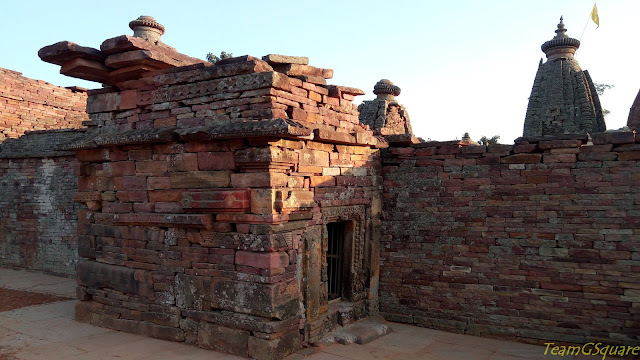 Accommodation: There are no lodges in Badoh or Pathari, however, the closest and a better choice would be Gateway Retreat at Sanchi maintained by MPSTDC. There are a few small lodges in Ganj Basoda. Great architecture...I long to get on the road again! Your MP dairies are motivating me to explore the less known places in our country. Thanks for sharing. 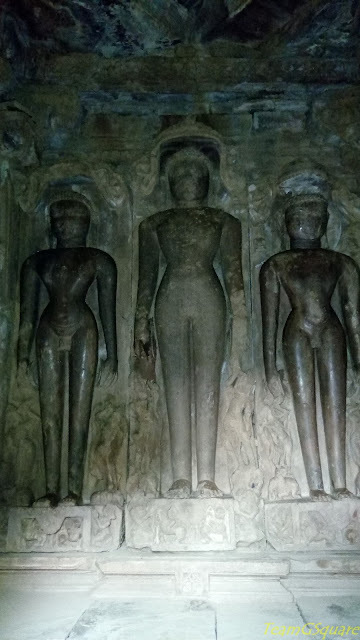 I love the Jain Temples, they are beautiful. Thanks for sharing this beautiful place, and free entry is a good thing! Wow! Glad to know about these hidden treasures. From few of your last posts you are mesmerizing me sharing some magnificent places, this one is also mind blowing. Thanks for sharing with lovely shots. As an architecture student, I had been to Mandu in MP about 5-6 years ago. Looking at these pictures, I get a similar vibe, and feel that this place too, is an architect's delight. Thank you for posting and bringing such off beat places to the notice of readers like us. Have a great day!